Last year, my school instituted a common schoolwide time dedicated for test prep. This was 30 minutes where we all had to be doing some sort of test prep with the students. If you have been following my posts, you know that I am the sort that likes to embed my test prep in everything I do, so I really didn't want this to be a time where we just did "fill in the bubble on the practice test" type things. That is just plain boring, and frankly, wasteful (in my opinion). What I decided to do instead was have Test Prep Stations for the week. Having 36 students, I set up 6 different stations, with 6 children at each station. All of the areas were skill based testing prep. They were practicing strategies and Language Arts skills no matter which station was chosen. On Monday, the students chose what station they wanted to visit and placed their number on the Monday board. I pre-wrote the numbers of the students who would be with me that day (and the rest of the days) on the board, so those kids knew they couldn't chose something else. Once the stations were chosen (which took all of 5 minutes), we reviewed the rules of independent working and were off. Here are the boards. I tried MANY incarnations of this. First I had them move cards in a pocket chart. Then clips. Then I used one board. Finally, I found that having 5 separate, laminated boards that the kids could use vis-a-vie markers on was the fastest. It also allowed me to see what everyone was picking all week. When the students were at a station, they worked the entire time. This took some training, but once we were in swing of things, they really did work. Since most of the stations were "fun", the kids had no problem with this. They were engaged and doing different things, so management of this station system was pretty simple. When it was all said and done, we took 5 minutes to debrief. We talked about any management issues that came up (if any) and the students wrote a little summary of what they did on their organizer. If the student didn't finish, they wrote down what was needing to be done for the next time they visited that station. On Fridays I collect them, with all worksheets stapled to it, and (usually) gave a basic grade for the work. It was more of a work habits grade if I am to be honest with you. The organizer and work was then returned and kept in their Test Prep Rotation folder for the next week (in case they needed to finish anything). These are the 6 stations that I found most useful for the needs of my class. Mrs. Moorman -- this one is pretty obvious. :) The students here were working with me on something that they all needed (I knew what skills were lacking with them based on my weekly quizzes) I chose these kids for the day, so this is really the only station that the kids didn't get a chance to "pick". Sometimes, I chose kids that I had already worked with that week. That just meant they didn't visit all of the other stations, which is ok. They were getting what they needed to help them prepare for The TEST (which was why this common test prep time was instituted in the first place) so I was ok with that. Task Cards -- This station was a dual station. The students HAD to go here after they finished with me. They would begin by finishing their work from the small group time with me. Then, in whatever remained of the time, they would choose a set of Task Cards. These cards came from my most favorite place in the online world, Proteacher.net. There is an amazingly generous teacher (Unseen001...don't even know her real name) who has created tons and tons of Task Cards. I pulled the ones that were relevant to my class and had the students complete them. Here is the group where she has all of them posted. Look around and you will find so many that are relevant to your class. Comprehension -- I put some comprehension passages in the clear view pockets. Using dry erase markers, the students practice finding evidence. (the answers are on the back) They then check their answers and look to see where the evidence came from. I also had some fun games there. They begin with 5 mins of reviewing some CST Passage flashcards that my dear friend Risa created. They are simply phrases that appear on the CST (my state test) that the students struggle with. The idea is that if they practice reading them fluently and are familiar with them, the students won't be held up with the decoding but will focus on the content of the question. The second game they play is Root Word Memory. The kids enjoy it and it helps them to review all the different common roots they need to know in order to be successful readers. At times I also have them do some Root Word Puzzles. They also like those a lot. The kids could do all 3 of these things in the 30 minutes allotted. SRA -- I love this kit. Absolutely love it. The kids are engaged in the stories and it is completely self-run by the students. Language Arts Quiz Show -- I got this from Lakeshore and my students beg to play it. The break themselves up into teams, keep score, and really, honestly try to answer the questions. They have fun and are still getting some test prep in. OK...so there is my Test Prep Rotation system in a nutshell. It worked well for my students (as all of them went up at least one level in Language Arts last year!!!!!!! --- a little pat on the back for myself) I hope you find something in here you can use for yourself. I love the rotation idea and will use this in my classroom this year. Thank you!! I really like this idea, a great way to move away from bubbles! Thank you for sharing this post on how you manage test prep! You have put a lot of work into this. Your kids will do great! OMG! I am sooooooo going to try the Test Prep stations! I love this idea! Thanks for sharing! You are so brilliant Stephanie! I don't know about brilliant, but it does work for me :) I am glad you were able to get something from the LOOOOONG post! I am also very lucky to have computers in my classroom so I am excited about getting my students on Prepdog. Thanks for sharing your rotations - love this idea! Awesome post! Thank you so much for the tip about prepdog.com. I can't wait to share with my students. You have provided me with a bit of motivation!! As I was reading this, I realized that I have almost everything I need to get started. The only area I would struggle with, is the computers, but I think I might plug in a review math chunk instead! Thanks for the tips and motivation! The computers are a tricky thing (like I said, I was lucky!) but you could have a split computer/math station...if you have any computers at all. They can alternate between them. Thanks for your test prep centers. Also for the prepdog.com link. I love reading your blog--this is my first year in 5th grade, but my 25th year teaching. I love the challenges. Thanks for providing great resources and tips. Wow!!! I love how detailed you were in explaining your stations! Thank you...this is the one area I have always struggled with, but I think I could easily put a similar plan into action. Can't wait to check out prep dog.com. Prepdog really is a great resource. The best part about it is that it is leveled for all the different students in your class. So if you have very low or very high kids, they all can use it! Love this idea! I've never used task cards before, but I see them all the time on TpT. I'm going to have to look into using them. This was great! very clear and informative but I have a few questions. Do the students have to do every station? What if they chose the same one every day? The students can only choose the station once per week. Once they have put their number on the chart under that station, they know they can't go back. Their little organizer is also filled in for that station, so that is a second "block" preventing them from going back to the station twice. Since there were 6 stations, and only 5 days in the week, it was actually impossible to go to all stations in a week. I would just have them choose the "extra" station first the following week. I took away so much from this post I'm not sure where to start. I love the website fot the test practice. My students go to the computer lab every Monday and this will be a great assess for them to do. I also love how you allow them to pick tha activities. I can't wait to try some of those activities in my classroom. So many great ideas! I love the including evidence sections on the worksheet! Also, I'm totally going to have my kids visit prepdog when we go to the lab next week! Thank you! I am motivated once again by a blog suggested by Conversations in Literacy. Thanks so much for sharing!!! Can't wait to get this set up and running!!! I really like how you took what your district was mandating and made it work for you! I also agree that just filling in bubbles won't get us where we need to go and I love stations so for me this was a great combo! Thanks for sharing my take a way will be to share this idea with teachers in my building as we get closer to testing!! Really great ideas. I teach math but I like your rotations. That is something that I really need to work on with my math stations. And an extra THANKS to add to comments...Love the task card idea. I have found that SRA is a great practice for our state reading test. Stephanie, I love everything you are doing here....making test prep fun and engaging. I often forget about pulling out our old SRA kits, but I know that they are effective because I even enjoyed them as a kid. 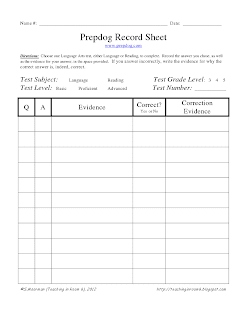 I also like that you have made the prepdog worksheet so that students walk away with a product after working on the computers. My only concern is the Language Arts Quiz Show. Doesn't it make your room loud? How do they organize themselves for this station? Thanks for sharing! You would think it would be loud, but it really isn't. We have worked on group noise level a lot and it never got out of hand. The kids were really good about it. I begin student teaching in the 5th grade on Monday, and I will be observing ISTEP preparation for the first week, and then preparing them for my own tests over the next 7 weeks. I expect that I will find this test prep station work handy on my journey. Also, my cooperating teacher focuses on greek and latin prefixes, so your freebie would be invaluable as well. Good luck with your first day of student teaching Amy! Neat ideas! We just pulled the science SRA box for students to use. This is a great way to organize it. I've been using Dinah Zike's VKV book for root words and would love to see what you're doing. This is amazing, and even though I don't have some of the supplies that you have (computers, etc.) I have tons of ideas to supplement with...what a great way to spend those designated 30 minutes. Than you for your ideas and creativity! I really liked prepdog. I also think that I am going to be using the dry erase idea too! I think the kids will enjoy it more than the same old paper and highlighter and it will save paper too! More bang for my buck!! Thanks in advance! I just came across your blog. What a great find! Thank you for this post. I have wanted to do stations in my 6th grade classroom for a while now. Now, I know exactly what to do. Thanks for so many great ideas. You had some great ideas!! Our test is next week, so I will have to keep these in mind for next year! Thanks so much! Thanks for all your great resources!! I am trying to incorporate the self pick aspect in the classroom and it is the PERFECT time of year to add this!! Love the charts and the vis-a-vi markers! Once again Pinterest sends me to a wonderful site!! I hVe been looking for something exactly like what you are doing! I appreciate you organizing it for me! I can't wait to implement this next week! Remember copying is the sincerest form of flattery! Can't wait to get other wonderful ideas! Also prepdog sounds super!! Thank you!!! I have been a member of ProTEacher for two years now and I still can't get past the screen that says I need to wait for their email. Is there something I am not reading that I need to do? I appreciate these ideas! I have been struggling as this is my first year back in sixth (after 6 years in Kindergarten). I have been looking for ideas that are more than just practice tests. Thanks! This is really cool. Thanks for sharing!! I would truly honestly love to be a fly on the wall in your classroom! I love your ideas. I am doing a lot of test prep and I love the idea of using stations...I especially love your idea of having the laminated reading passages for students to find evidence in. Thanks for the inspiration! Great post! I like the quiz show- put a little competitiveness in the students! I also use SRA in my 6th grade Language Arts class and LOVE it! Thanks so much for the rotations recording sheet. That makes it so much easier! I also love that you planned for 36 kids and not 20 or 25! This is an amazing blog! I love the organization you have provided. You probably have earned stars in your crown (in Heaven) for this. Thank you for the information. SRA...have used it in the past, put it on the shelf this year, thinking I need to dust it off and start using it again, the kids do like the independence of using it. Want to check out prepdog and task cards...sound like great opportunities for the kiddoes to work on a variety of skills. Thanks for sharing your ideas. I really enjoyed reading your post. Standardized testing is something that is hard to make fun but I like your rotation idea and checklist. Thank you for sharing that. I am going to check out the task cards and the prepdog website as well. We truly are our best resources. Thank you for sharing. Hi I am a new teacher and I am always looking for a way to better myself and teachings. I right now am freaking out about the standardized test my 5th graders have to take, and I rarely do centers. This was an amazing post because centers can be made to be fun as well. Although, I do have a question where are your students writing their answers for their task cards? I want to do this so badly with my students but dont know where to begin. I love this! I have been trying to figure out how to make test prep more fun. I'm sick of the boring test prep our grade level does. Thanks for some great ideas! I love this idea. Who would have thought about doing centers for test prep--obviously you did! I am so grateful for that. I really like the task cards and the whole rotation idea. I am looking forward to using it in my classroom. Hello! I am a follower of your blog and love this idea. My school also has 30 minutes imbedded in the schedule for test prep. I, too, was conccerned it would be boring and wasteful since it is the last 30 minutes of the day. I am going to incorporate your idea of stations. The kids would love it. Also, I don't have 6 computers, but I have 3 IPods to use. Thank you so much for your post! I tried to post earlier, but I don't think it went through. I've been following your blog for several weeks, and I love your ideas! I can't wait to check out prepdog.com. We are currently learning about Greek and Latin roots so the game will be perfect. I love your test prep ideas. I too use the task cards from Proteacher. I am definitely going to check out prepdog. Thank you so much for your amazing resources! Fab ideas! I just checked out the task cards too. Thanks for figuring this out for us. Wow! This is wonderful. Thanks for all of your hard work! P.S. I can't believe you have 36 students! Wowza! I really loved your idea of doing centers so much that I had to blog about it myself (giving you credit, of course)! Thank you so much this post. I'm currently student teaching in three fifth grade classrooms, and I'm always looking for ideas that I can use to wow my cooperating teachers and engage the students more. I love the idea of stations and am planning to use them next week so the kids can review for their upcoming math test. A huge thank you for introducing me to proteacher.net and unseen001! I just spent the entire evening downloading task cards that I think will be amazing. LOVE this. This is exactly what I need. We start the testing window in two weeks and I HATE prep with packets! I needed that A-Ha of management. I can't wait to share this with my team and get started for the next two weeks. My kids will appreciate this, too, since it's so easily differentiated! Many thanks! Thank you for posting this idea. I teach 6th grade this year (after 6 years of 7th grade, 5 years of 5th grade, and 3 years of 2nd grade) and have been trying to figure out how to use my middle school advisory time for tutoring/test prep since we are now allowed to change fromt he standard school-wide activities. This is an awesome set-up for my team since I teach with one other teacher, but we do have a third advisory teacher which gives us smaller numbers in our advisory groups at the end of the day. My email is rseldomridge@caldwellschools.com. Just as a note, you may want to check out Rachel Lynette on teacherspayteachers, she has several sets of tasks cards that can be purchased for $2 or $2.50 per set - I have every set she has created. Stephanie, that is great! Are the laminated work boards for each student? I saw only 4 boards, was that for the number of days of the week. Do they write their names on the stations they want to work at or their "numbers"? It's a great concept and I am going to try this. We have a great resource in Texas for our new state test STAAR, created by Region 4 that has Math station spiraling activities. It will be easy to create a Math rotation from the format you provided. Thank you for sharing this. This week I will be doing these test prep rotations, next week is our writing test, then after we'll prep for the reading test. I appreciate all of the details that you added. Thanks so much for sharing! I am first year teacher in 3rd grade, so testing is officially freaking me out! I will be completely STEALING your centers and how you organize them for the ~6 weeks before the EOGs! Thank you! What a great idea! I think I might be able to do a mini-version of this during part of my Literacy Block. We need the practice and you show that it can be done! I have been reviewing your blog every day for a week now! What an inspiration you are! I would like your little test prep for greek and latin roots. I love seeing how you make learning these fun and interesting for the students. Thanks so much! Can you leave your email address so I can send you the freebie? I love this idea for test prep stations! 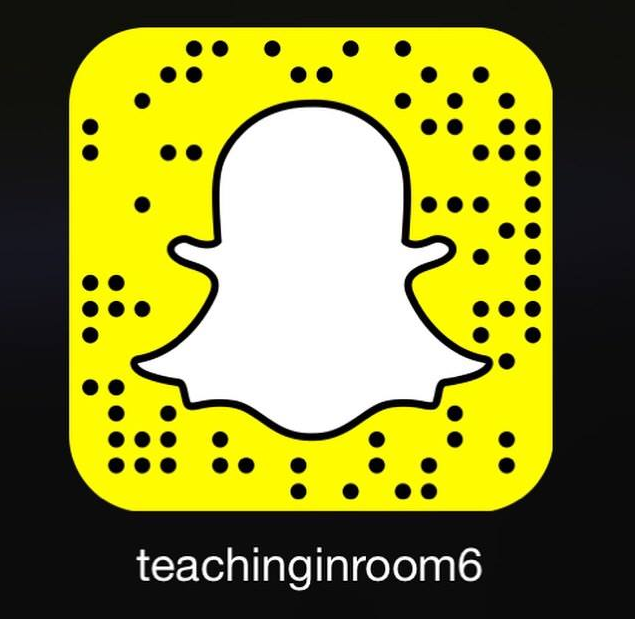 Hope to try the rotations in my 4th grade classroom. I would love a copy of the root words if you are still making that available. :) Thank you! Love your idea for Prep stations-the prepdog.com site seems awesome too! You have inspieed me to get this started in my class room! OK! I got everyone that left an email address. If you would still like it, and are a FOLLOWER (NOT ANONYMOUS) please leave your email address and I will send you the file. I love this idea. I am about to start really getting into test prep with my 5th grades. This can really help!! My email is ntalley@jaco.k12.ms.us. Thanks for the GREAT idea. I'm also going to apply this to math too. Hi Stephanie, I was specifically looking for more creative ways to test prep than simply passing out sheets and filling in bubbles. I could really use the centers idea. AND! for the next month, in place of spelling, we're doing a root word study, so the memory game would fit so well! so you are my newest fav blogger!! I love the test prep and want to tweak it to work for my classroom. Can you send me the root file you were talking about? I really need this to work - I need to get my kids ready for the 5th grade promotion test in math and reading. This is a godsend!! I loved ALL of your rotations and plan to implement them next year (too late this year since we test in two weeks, ugh). Thank you so much for the great post. I loved ALL of your ideas. I plan on implementing them next year (too late this year since we test in two weeks, ugh). Thanks for the great post. I love the task cards; thanks so much for sharing! I love all of your ideas! I'm definitely implementing them!! Thanks! OK...I have everyone up until here! If you didn't get your copy, or forgot your email address above, please let me know! Stephanie- I just found your site and I have a feeling I will be visiting it often! You have some great ideas! I would love the game, too, if you don't mind. My email address is jegrafitti@gmail.com. Thank you! Just found you through a link on FB. Most of the stuff is a bit young for my 8th graders...but several of the ideas will work well. THANKS!!! WOuld love the word game. I like that you are proactive about making them active and responsible at their stations. I am headed to check out the proteacher link and root word memory :) Thank you for sharing! Great post! Thanks for sharing all your ideas, especially about making the students accountable for the work completed at the stations. I'd love a copy of the root game...dsunbury@ptd.net. Blessings to you! I would love a copy of the memory game. Thank you so much for sharing! I teach fifth grade too and was wanting to try something different for our state test prep. Our school uses Buckle Down and it is great, but I wanted a more hands on approach too. Such wonderful ideas! This is my first year in a testing grade. Definitely going to try out this rotation. Thanks! This post had such wonderful ideas! We are just beginning our required blocks of test-prep/review. I am so excited to try out stations rather than the same boring system I use every year! The students are going to love quizzing each other and talking rather than our usual! Thanks for the great ideas! I downloaded task cards all night! I've spent a lot of time downloading task cards ... thank you so much for sharing!! Can't wait to see the Greek and Latin Root Words game. This is good stuff! I can't wait to use the ideas. I just discovered your blog and I love, love, love it! I teach 4th grade and think your math calendar time as well as your test prep stations are fabulous!! Thank you! WOW! What an awesome post! I am a 2nd year teacher (like someone else who commented) and I know how important test prep is and how boring it is to just be doing passages. Like I'm currently doing. :( I have a month left and would like to make it count. I want to implement the centers ASAP. Thanks to you! ;) I'm a new follower! This is great! We also have mandated test prep time, 30 minutes for math and 30 minutes for reading. I've been trying to figure out a better way to do test prep and do interventions with my students who need it! Thank you for the idea! I love the idea of this! How can it be adapted for lower grade levels? I found your post at the perfect time! I am on a Latin/Greek Roots kick myself and I love the way you set up your stations. I plan on implementing something like it with my kids!! My students are loving the task cards! Can't wait to use the root resources. Thanks! I'm not a fan of test prep, but I think your ideas are a great way to prepare students for testing. I will be working on some of these ideas over spring break! Thanks! Never heard of Prepdog. I look forward to checking it out. OK...I have everyone up to here that left an email address! Found you on pinterest. So glad I did!!! This is great stuff! I am going to use EVERYTHING for test prep! You are brilliant. Thank you SO much! I have never heard of prepdog, so I am very excited to use it! I'm so excited to get started on this!!! One question where do you get your quizes from? Are they in your TpT store or textbook? Thanks in advance for all the wonderful info. Hi Rachel -- The quizzes are ones that I made up, based on my state standards, district assessments, and math book/language arts program. They are not something I sell...though maybe one day I may :) I create them using "testing language" and format so that the kids are used to it by the time The TEST comes. Thank you everyone! I have sent the game out to all who left an email address up until this point. Thank you so much for the great ideas! I just found you, but I am positive that this will not be the last time I read your words of wisdom! Thanks for sharing, can't wait to check out prepdog! I just wish I had a SRA kit...I use to love those when I was in school! I love all of your ideas, thanks for sharing. Would love a copy of the Root Word Memory game. I love the prepdog website and the Task Cards. I have recently started using those. I was surprised to see that your students like SRA. I am a first year teacher and I had never heard of that program until I started teaching. We used it half of the year. My students didn't take to it very well. I was wondering if you had any suggestions as to how to keep kids engaged and enjoy the activities. OK...I have everyone up until here! I just discovered your awesome blog. You are so being followed by me. Thank you so much for all your awesome posts. I checked out the task cards and the prepdog website. So awesome!!! I needed that motivation for test prep, but to make it fun. I don't want my test prep to be a daunting task where they'll loose their interest come test time. Thank you for your suggestions! Thanks for sharing Prepdog.com!! It will be SO helpful in my resource room! I have everyone up to here who left their email address. Thank you ALL again for following and all the nice comments. So glad I found your blog! I am your newest follower and loved reading this post. I just got done downloading a TON of task cards. So excited! Thank you for the helpful ideas. I am always looking for ways to make test prep more bearable for myself and the kids! I wish I would have seen this earlier!! I just ran across your blog, and am loving it! We also have a required test prep time, and were searching for what to do. I think I will be setting up stations next year! The comp.sheets in clear sheets will definitely be on the list! Thanks so much! I, too, wish I had found this earlier. I LOVE the idea of stations for test prep. I can't wait to try out prepdog and proteacher.net for the task cards. We just started our state testing today, but I'm definitely going to file this idea away for next year. Thanks so much for sharing!!!!!! I found you on pinterest and SO wish I would have found this before now! I'm going to try some of this out during our daily Guided Reading this week and try to implement more next year! Thank you so much for sharing - and so generously, too! I have been looking for a great way to teach roots. Your ideas are super. I am going to check out Prepdog.com right now. Thanks a million. I've never done Test Prep Stations so the whole article is great. Can't wait to use some of your ideas. Thanks for sharing! I am a new follower. I can't find your contact info on your blog to send you the game! Do you have an email? I started calendar math this year because of your posts!! I will be checking out Prepdog.com. I hope Calendar is going well! I love hearing that people are doing it! I did not like how my end-of-yer test review was organized, so seeing you stations has really helped. I love reading your posts. I usually catch most of them but somehow never read this one, as I see it is an old one. 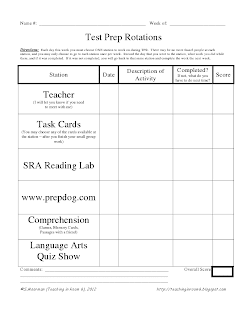 I also do test prep stations, including the computer ones, but I've never had a recording sheet to go along with computer activities! I love this idea and may need to steal the worksheet to use next year. I've never used Prepdog but I'm going to check it out! I'm a student teaching, scheduled to graduate after a full year of student teaching, this fall. I never even thought of having rotation centers for testing. This is a fabulous idea! I would love to receive this file! AMAZING! I love your posts; they are always so helpful! This was especially creative and I can't wait to try it. Thank you - this is fantastic! This is absolutely fantastic! Thank you so much! Newest follower here!! Can't wait to read more! I LOVE your approach to Roots...I've tried them over the last two years but prefer your approach and especially the memory game! Because I was tracking around reading all your posts about roots, I stumbled on this awesome test prep post - and I'll be using prepdog.com, as well as your other ideas. You are a wonderful blogger - my favorite - and I appreciate the time you take to share all of this! With Common Core coming up, roots are so much more of a focus. This would be great!! Thanks! Schoolwide test prep is a great idea! It is important for all to be involved and dedicated to improve all students. I'm a tired EL teacher and I'm glad to stumble across your blog, especially this post. I can see the amount of planning and thought that's gone into your stations, and am inspired to try it out with my kids soon. 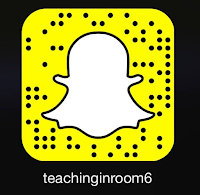 I've been a long time follower and am finally a first time teacher! I met with my reading specialist the other day to map out curriculum and she noted that root words/affixes were a big standard. 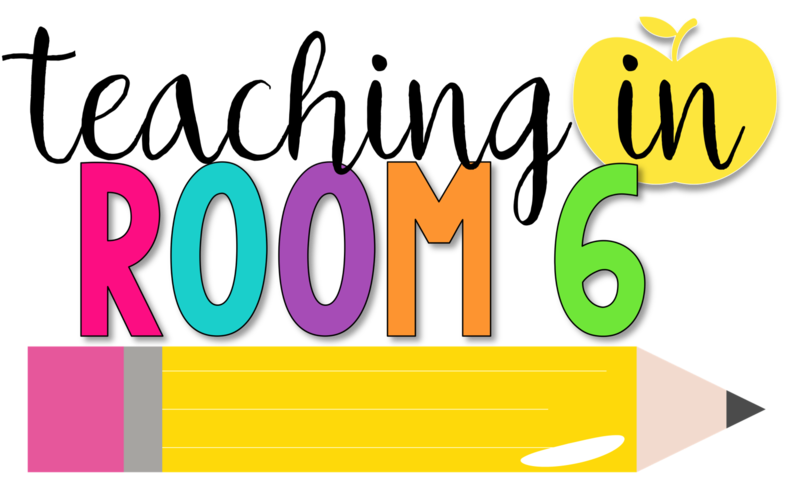 I would love to have a copy of your test prep package to use a resource in my room, especially the root word memory game! Thanks so much! Thank you so much for sharing your ideas. Our district has been working on ways to better prepare students for standard assessments. I really like the stations, so I can work with a smaller group of students each day. I also plan to use Prepdog since we now have Apple laptops for our elementary. I love the root word memory game. Sounds like a fun way for the students to become more familiar with root words and their meanings. I really appreciate your posting on the stations. What gave me a shot in the arm was the fact that I can pull my SRA lab kit out of the closet because now I can finally get students back into it. I, too, love SRA. I felt it was a shame to put it away, but couldn't figure out how to incorporate it. Now, thanks to you, my kids will get another literacy experience that is worthwhile!! I have been following your posts like a stalker. 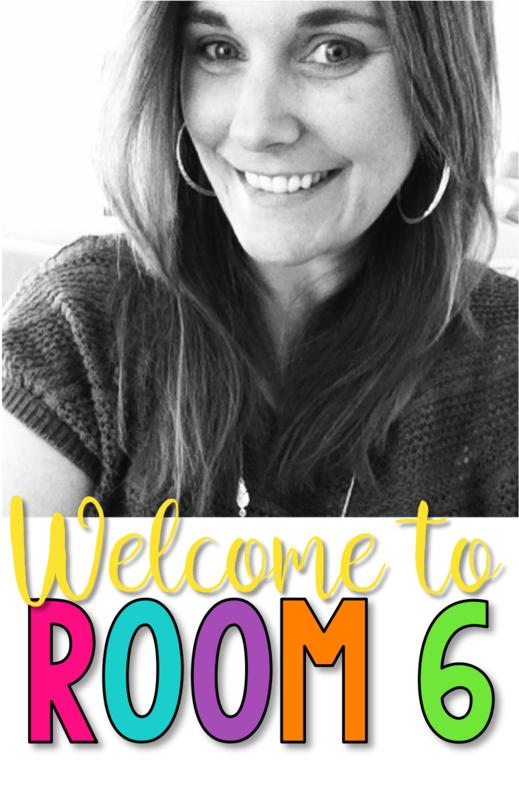 I have "borrowed" so many ideas for my classroom (I'm new in 5th) and I truly appreciate all the posts, ideas, suggestions, products, and freebies. I really want to get the root section going in my class so thanks again for the freebie. I love the task cards. I have never seen these before and I think I am already addicted! I love this idea. It is definitely something I can add into my guided reading time. I think adding a test taking session is something that would be helpful to do all year round, not just right before the test. One of the things I am going to do asap is go through released test items and pick out any key words or phrases to introduce my students to. I know you said a friend of yours made them, do have have some examples of these? Thanks for sending those root words. We are starting greek and latin root words in a few weeks. I am so happy I found this site. Like you I have a class that is in need of a lot of work this year. I think centers is the only way to go or I will wind up pulling my hair out. Thanks so much.. I love the idea of putting the comprehension passages in page protectors instead of killing trees. I am all about finding evidence. I am going to make some passage flashcards! My kiddos also struggle to understand what the questions is asking. I can't wait to set up my centers after Christmas vacation. I'm so glad I found you on Pinterest! This is sooo great. During one of our PLC meetings, we discussed using the last thirty minutes of the day to work on skills the students need....basically test prep.....this would work perfectly. I plan to suggest this to my team. Thank you. Thank you for all the fun and amazing ideas! I will definitely be using this model for test prep in my 3rd grade class!